Each year we grow in terms of assets, staff, and membership. As a result of growing and developing we want to keep our look moving with the times. Many of you may have noticed our website’s new look, some of you may have even noticed our updated logo too. 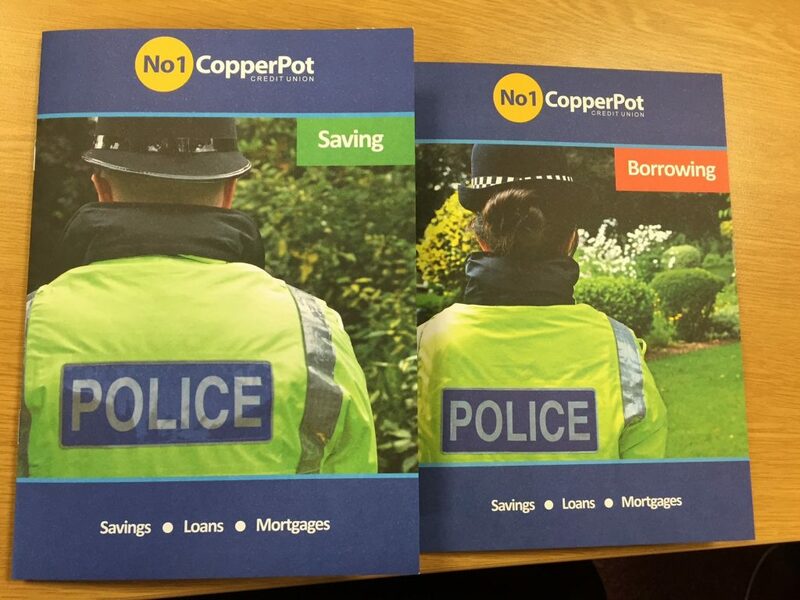 We are rolling out modern branding to improve even more, as the leading Police Credit Union. Like our new logo? We didn’t want a dramatic change to our logo as we wanted it to still be recognisable. However we believe the new look is brighter and more modern, yet sticks to a very similar colour scheme. We now have brand new brochures, in line with our modern look – as you can see in the picture above. Although our look may be changing, our dedication to great customer service will stay the same. Our ethos has been maintained to be a not for profit organisation, where the members are the No1 priority. The main reason our Credit Union grows each year is through word of mouth from our members. Colleagues share their stories of using our services and more often than not, that’s enough to tempt others to join. For members who want to tell others about our services, we have made it easier for them by allowing them to fill in a promotional material request form. These online forms allow you to request brochures and posters to distribute at work. It doesn’t cost a thing – simply tell us what you want and where we should send them. You could be receiving our shiny new brochures within the next week! Do you want to help your Credit Union? Request some of our brand new brochures and pass them out to colleagues or leave them in your workplace, you can request information here. We hope you like our new look!